When I think of scones, my mind automatically goes to a sweet flavored scone rather than savory. 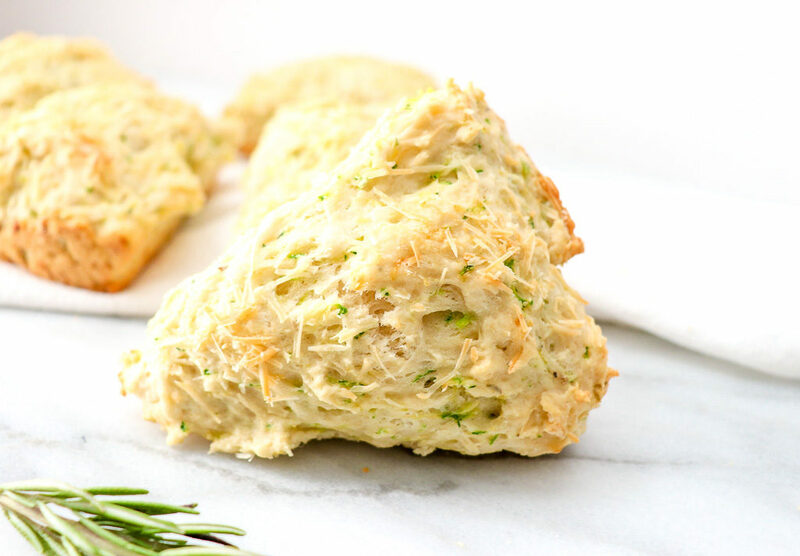 However, my taste buds LOVE savory scones packed with a punch of herbs and cheese! 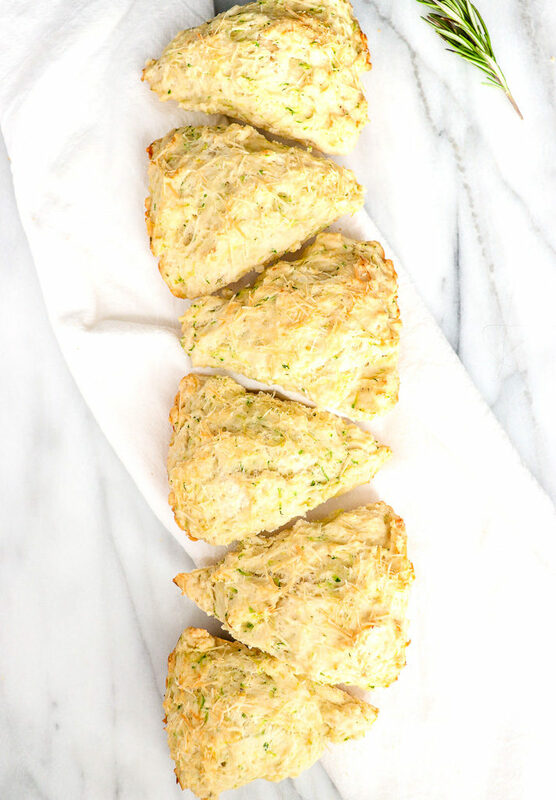 This Zucchini Parmesan Scone recipe is one of the best to come out of our kitchen. Zucchini makes my top 3 list of favorite vegetables. 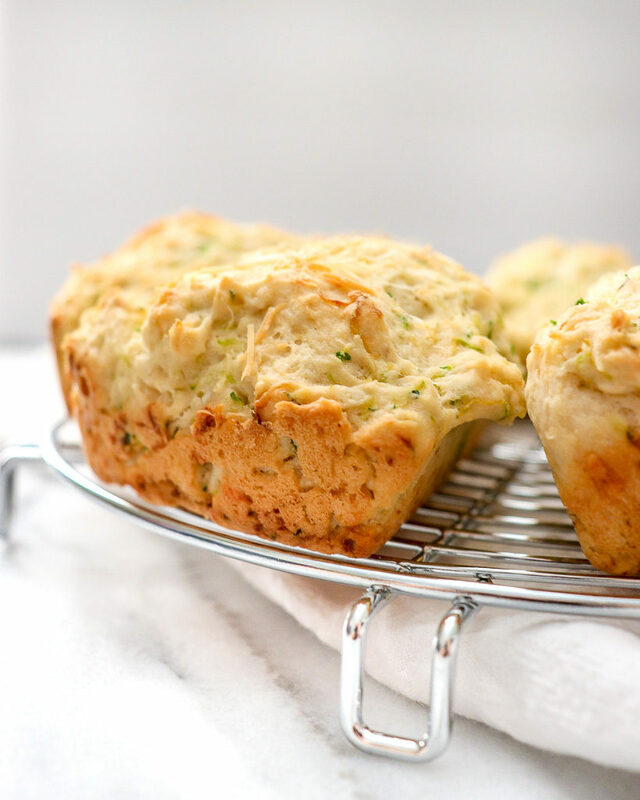 In general it is easy to work with, but baking with zucchini is a whole different story. It holds so much moisture, which in baking can cause your subject to spread or come out soggy and wet. To remove as much moisture as possible, I like to put the shredded zucchini in layers of paper towels to pat dry by hand. It instantly and soaks up the moisture. A cheesecloth is another alternative to the paper towels. A mesh strainer is also a practical tool for the job. 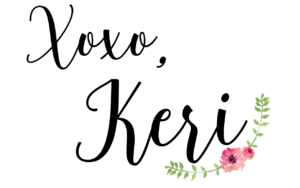 If you are interested in this recipe, please do not overlook this step! I use a scone pan to shape and bake my scones, but these work just as fine without one. If you are looking for a great scone pan, here is the one that I have. 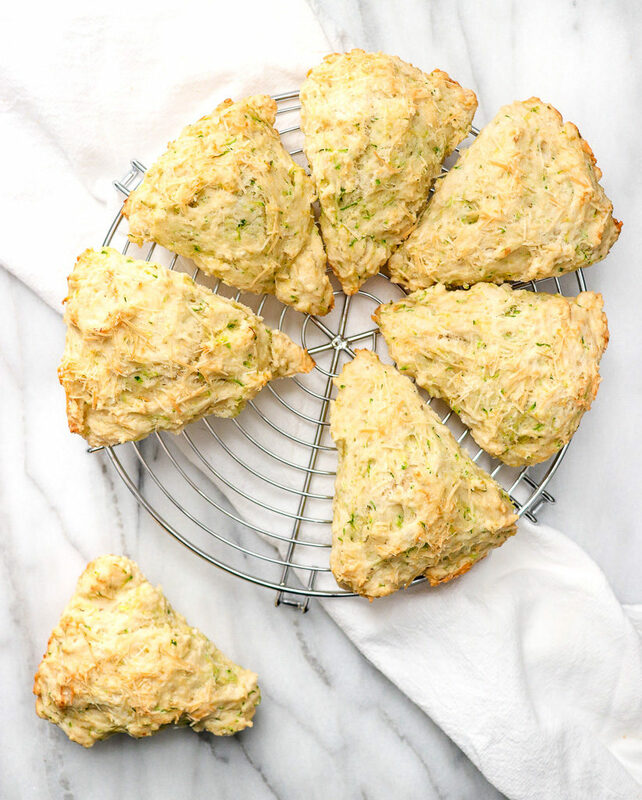 Because these are a savory scone, these Zucchini Parmesan Scones make a great addition to any dinner menu. I personally love them for brunch! If using a scone pan, lightly spray with cooking spray and set aside or line a baking sheet with parchment paper. In a large bowl mix together flour, baking powder, baking soda, sugar, pink Himalayan salt and oregano. Cut the butter into tiny cubes then with hands, work it into the mixture. In a separate bowl, whisk the egg. Then add light sour cream and combine with flour mixture in large mixing bowl. Fold in grated zucchini and ½ cup of shredded parmesan until well combined. 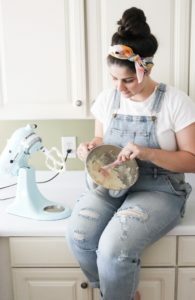 On a floured surface, knead the dough until it stays together. If using a scone pan, place the dough in each divided section. If using a baking sheet, form the dough into a 9 -inch circle then cut the dough into 8 wedges. Then place them on the parchment paper. Top each scone with the remaining parmesan cheese. 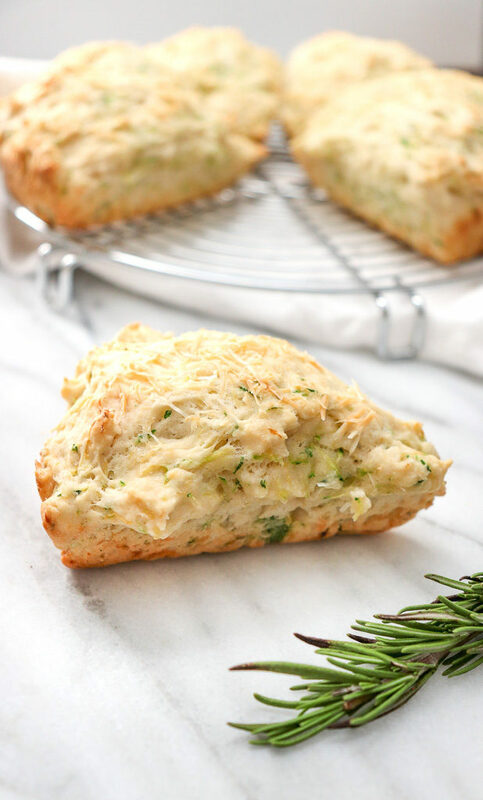 Do you prefer sweet scones or savory scones?